Before I introduce the main topic of today’s post, I want to tell you about an exciting project I’m working on. It’s a free e-workbook, a free e-book in a workbook format, which will enable you as parents, to work out the best way in which you can become fully involved in your child’s maths learning. I want to ask you, as Maths Insider readers, what are the main issues which you find difficult when supporting your child’s maths learning? Is it lack of skills? Not knowing what resources to use? Lack of time? What do you need in order to navigate these obstacles? I want this resource to help parents overcome these issues, so I need you to let me know about your “helping your child with their maths” problems. Please tell me in the comments or use my contact form. Last week, my children and I tested the free trial on the educationcity.com website. Education City provides online educational games for an annual subscription of around £30, with different versions for US and UK customers. Watch the video below and find out the Maths Insider verdict! 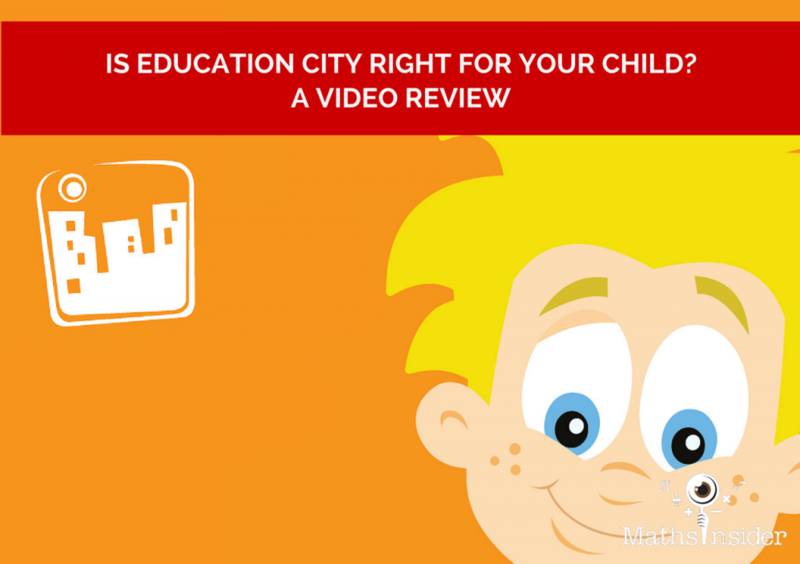 Do you agree with my verdict on Education City? Which other online maths games do you want me to test drive? I would be interested for you to test Maths Whizz, Mathsletics and Mathsfactor. I myself just finished the free trial for the Education City and agree with your conclusion. my daughter needs help with her maths (year 2) and would like an honest assessment before I purchase. We (my 9 year old and I) have just started a trial of Maths Whizz. From an maths ed view, it’s better than education city so far. Will be posting a video review of it Maths Whizz early next month. After that Mathletics and Maths Factor are definitely good ones that we should try out. Thanks for the suggestions! Interesting review. I guess if your aim is to improve exam results then Education City is not the right choice. However, for inspiring your child to enjoy learning for its own sake, I think it works pretty well. You can’t compare it Maths Whizz which costs £19.99 per month and has a completely different goal. My son is 7 and loves it. Maybe it’s not for older kids – I’ll see when we get there. Thanks for your feedback. It’s great that your son is enjoying Education City! It definitely provides a fun and rich environment. My criticism with it is that in the course of a half hour maths session on it, your child is learning and practising for only half that time and is being entertained for the other half. Apart from the maths, it does offer great value and a stimulating environment for kids to review what they’ve studied at school. I think this is a good review of education city.